Two thousand years ago, Christianity was considered a cult. Early Christians were often persecuted and threatened, so they were forced to meet and pray underground... in the dark, dank, and creepy catacombs that populated many ancient cities. 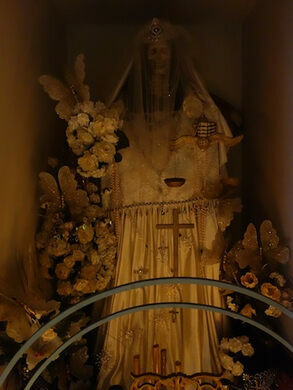 As Christianity spread and became popular, local customs and belief systems were integrated into the religion, modernizing holidays such as Christmas, Easter, and Day of the Dead. In Mexico, Aztec worship post Conquistador era continued, also going underground to avoid persecution. 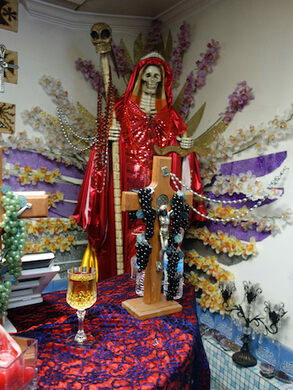 Soon, these two religions collided and the hybridization being Santa Muerte. 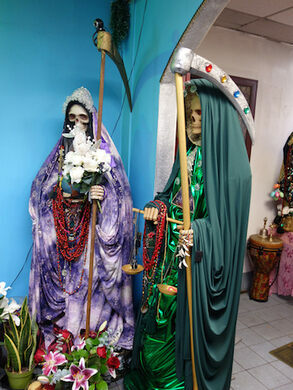 Santa Muerte, portrayed as a woman, has a mysterious appeal to her and has connections to healing, protection, and death - think the Grim Reaper meets the Virgin Mary. 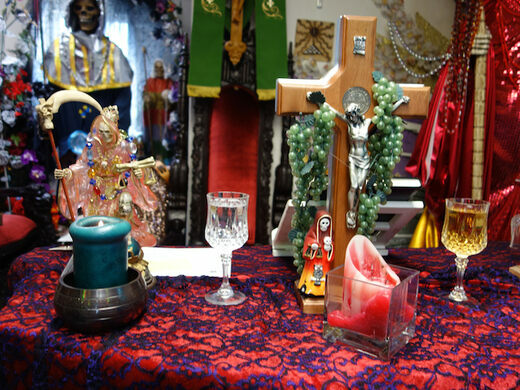 While the religion is often associated with Mexico, the influx of Mexican immigrants into the United States has brought the worship of Santa Muerte into America. 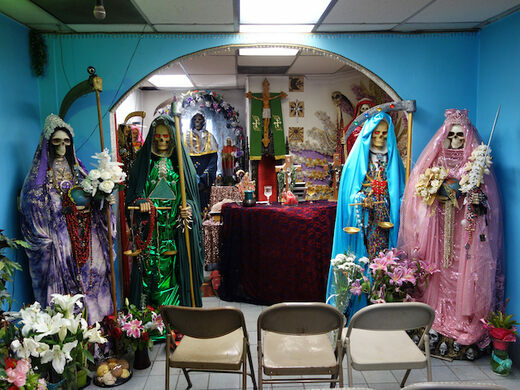 Come join Field Agent Robert Hemedes as we learn about Los Angeles's only temple devoted to Santa Muerte worship. Started 7 years ago by Father Garcia and Sahara, the temple holds regular services on Fridays and weekends. We will learn about the history of the religion, participate in a service, and have a Q&A with Father Garcia himself. This is a rare opportunity to explore a faith that is unfamiliar to many and holds such a mystical past. - We do request that if you decide to participate in this event, that you have an open mind about other belief systems. - In addition, you'll be entering a religious temple. Please be respectful. - Bring cash if you wish to purchase items/artifacts from the gift shop, which can be blessed by the priest during the service. 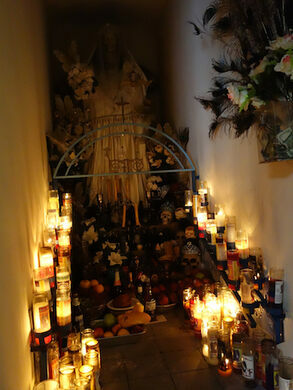 - If you wish to bring an offering for Santa Muerte, please bring real flowers. - Portion of the fee will be donated to the temple.